Hope your Fall is off to a great start and you are having making some specia Fall memories with your family. We're still busy working on getting the last of our belongings in the right place at our house. The last of our storage that we previously kept in the basement of our last house was delivered at the end of last month. Last week our high crawl space was encapsulated and this week, Mr. DIY built some platforms so that all the storage totes can be set in there. Currently, all that storage is stacked up in our garage and I can't wait to get it moved to the crawl space so we can park 2 cars in there again. Needless to say, the Fall decorating has been minimal this year. The front porch and the mantel are about all that says it's Fall around here. 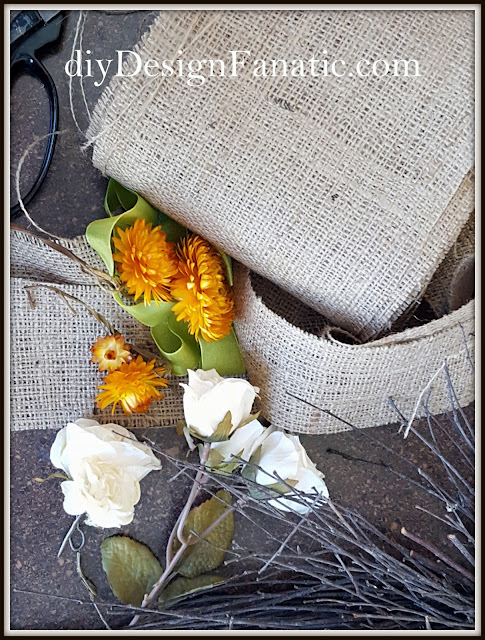 Which brings me to the simple Fall wreath. 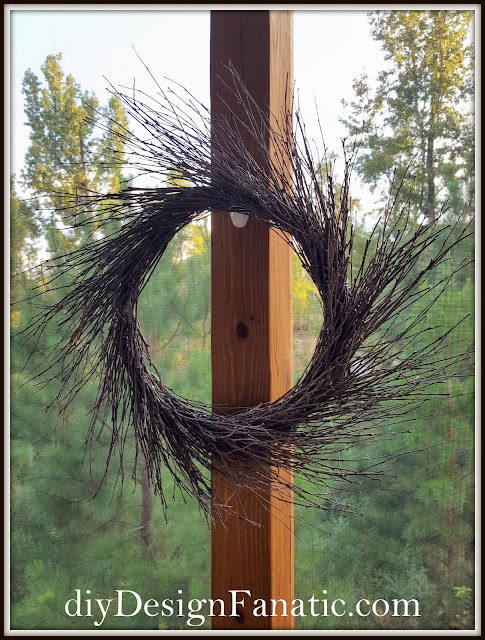 I made this simple twig wreath 3 years ago after a windstorm at our last house. If you missed it, you can find it HERE. 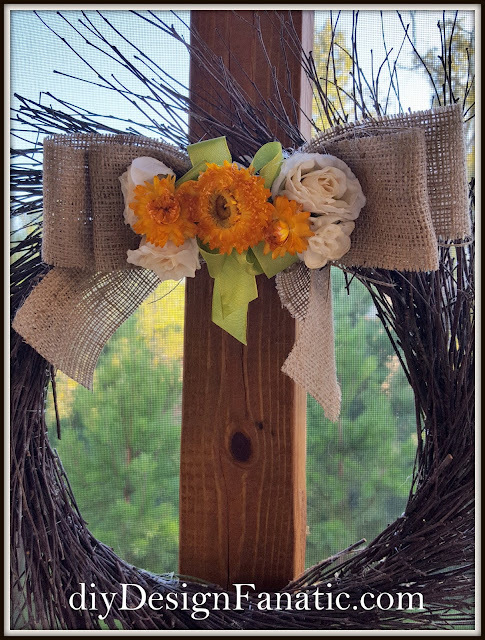 I hung the wreath up on one of the posts in the screened porch, but the Command hook showed and it really needed something. I'm slowly working on getting a few more pieces of furniture for the screened porch, but even though it's not finished yet, it has become my favorite outdoor space. Let me know what fun things you've been doing this Fall.